The cost of solar installation keeps going down, making it more affordable than ever. Plus, there are rebates and incentives that can offset the solar panels costs. Los Angeles has some of the better options available. Keep reading to discover how you can save money on a solar system, and how a solar system can save you money. The cost of a solar panel system—aka, a PV (photovoltaic) system—varies depending on its size and power output. The size depends on how many panels you intend to install, the number of panels depends on the percentage with which you want to lower your electricity bill. The higher the percentage, the more panels you will need. The power output of solar panels also factors into their cost, with more powerful solar panel arrays being more expensive. 4 kW – 6 kW is the average for most homes. The more expensive systems might save more money in the long run because their high-power output means a smaller utility bill, which can save a lot of money over time. The cost of solar panels may seem high, but it is possible to lower the cost via rebates and incentives. The government offers a federal solar tax credit (aka, the investment tax credit) of 30% for installing a solar system. This allows you to deduct 30% of the cost of the system from your federal taxes, but only if you purchase the solar panels. The Los Angeles Department of Water and Power (LADWP) also offers a significant rebate through the Solar Incentive Program. This rebate gives buyers a discount of $0.25 per watt of any residential solar system. This rebate is available to anyone who leases their solar power system or who buys their system. The combination of these programs can cut thousands of dollars off the price of a PV system. A loan or lease of a PV system is a great way to reap its benefits without having to pay a big upfront cost. There are pros and cons to both options, but overall, they are practicable choices for anyone who cannot immediately afford a system or does not want to own one permanently. A loan is a good way to obtain solar panels without having to put any money down. Many banks, as well as the Los Angeles Federal Credit Union, offer loans for solar panel systems. However, it is important to get a loan with a low interest rate, preferably, 4% or less. Any higher and you could end up losing money, no matter how much you save on electrical costs. Longer term loans will have smaller monthly payments, but higher interest payments. Loans with shorter terms are the opposite, they may have high monthly payments that are sometimes higher than your energy bill. However, the low interest payments could save you money in the long run. With a solar loan, you are entitled to the rebates and incentives provided by the state and the government. A solar loan can be either secure or unsecured. Secure – You offer up an asset as collateral for the solar loan, this is usually your home in most cases. Unsecured – No collateral is needed, but you will need to have a good credit history and a decent income. Leases and PPAs (Power Purchase Agreements) are also good options for anyone who wants to install a PV system for their home. They both can come with no money down, prepaid, or customized down payment options. Both options are more like renting the system than buying it, but you get the benefit of a lower energy bill each month. Solar Panel Leases – With this option, the solar panel company owns and maintains the solar panel system installed on your home. This means that they are entitled to the rebates, incentives, and benefits provided by the system. However, you still benefit because of the lower electricity costs for the length of the lease contract, which is usually about 20 years. 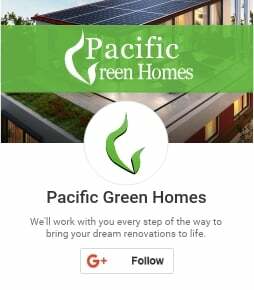 Solar Panel PPAs – This is similar to a lease, the difference is that, instead of paying for the system, you are paying for the energy generated by the system at a fixed per kWh (kilowatt hour) price.